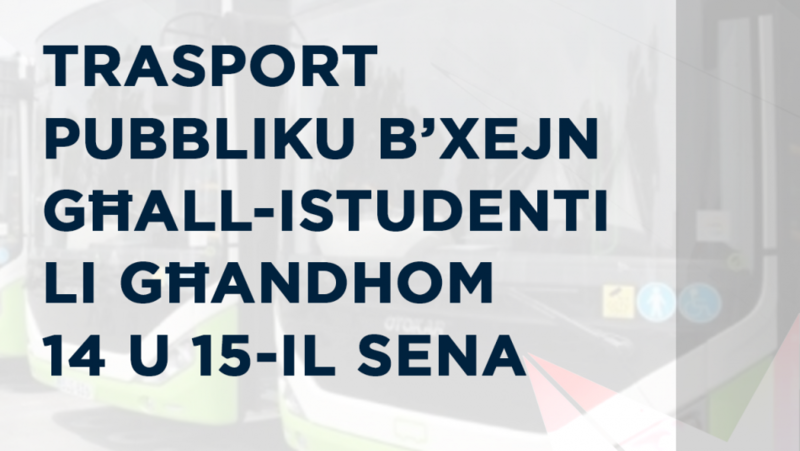 Finance Minister Edward Scicluna announced that with effect from next year, 14- and 15-year-old students will be able to travel free on public transport. 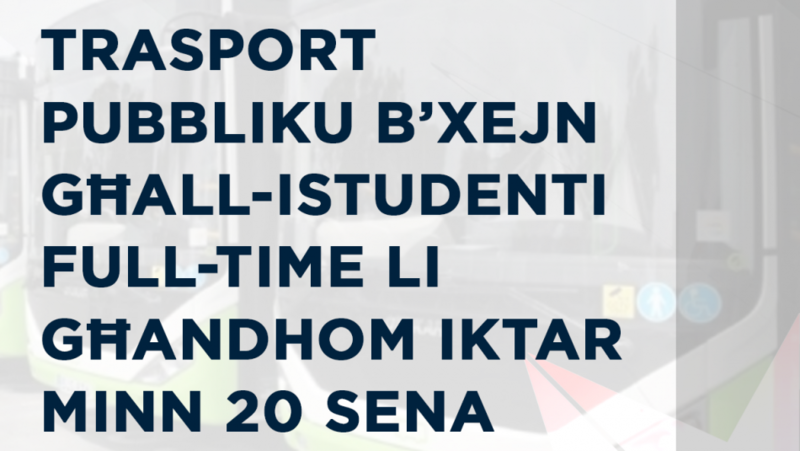 Also taking advantage of this scheme will be full-time students aged over 20 years. This step follows the success achieved among students aged between 16 and 20 who benefited from the scheme this year. Meanwhile, discussions are ongoing for disabled persons to also start using public transport at no charge.